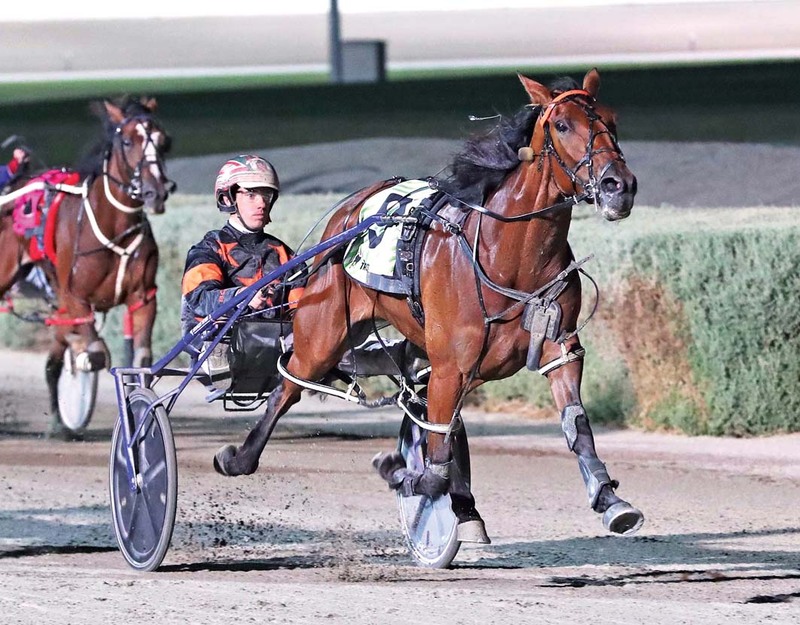 VICTORIAN horseman Michael Stanley didn’t need to look at the draw to know where his quality filly Soho Burning Love will start from in Friday night’s Western Australia Oaks. Soho Burning Love has contested several key events this season – all from tragic draws. With each runner beginning from the front line in the New South Wales Oaks, Soho Burning Love received the widest alley. A few outings later the daughter of Auckland Reactor came from the second row in the Bathurst Gold Bracelet, before drawing the back line a heat and the Final of the Victoria Oaks. Despite her tough starting positions, Soho Burning Love has filled the placings in each feature. “She also copped the second row in the Three-Year-Old Classic at Menangle before the Oaks up there,” Stanley said. “It just seems to be how it is for her at the moment with the draws. Sent across the Nullarbor early this morning, Soho Burning Love has pleased Stanley with the way she has handled the trip. “I worked her yesterday and she felt terrific,” Stanley said. “She has left in perfect condition for Friday night. Citing Liberty Rose as the one to beat from the pole, Stanley believes Our Angel Of Harlem has been favoured by the inside of the second line. “Liberty Rose has drawn perfectly and Our Angel Of Harlem comes right into it from the draw,” Stanley said. “Detroit Lily has won her last couple, including an Oaks Prelude, and should also go well.